The Grain Roasting Machine multipurpose machine used for roasting, reduction of moisture contents, increasing self life of various types of Grains like wheat, barley, Maize, Jawar, Pulses, Seeds, Powders, Flours, Granules type products, and most idle machine for preparation of various types of Premix, Snacks foods, Energy Health Foods Fortified Nutritious foods, Baby foods, Fast moving consumer goods etc. 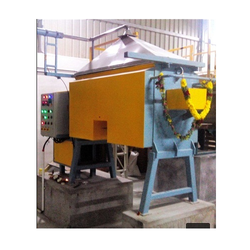 Pulses Roasting Machine offered comprise multi purpose roasting machine which allows for optimum roasting and moisture content reduction. Featuring use of precision engineered functional parts, these provide for enhanced shelf-life of processed products. Semolina Roasting Machine offered comes designed and developed using latest technology support and finds use in the reduction of moisture content and roasting of semolina seeds. Further, the superior and uniform roasting support provided by the machine also assure of enhanced shelf–life of products and find use in preparation of premixes and snack foods. 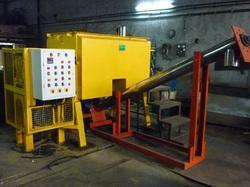 Use of thermic fluid heaters for achieving heating in higher batch capacity machines.